It's 5 Artisan Distillery makes their products by hand, using locally grown fruit and grain. 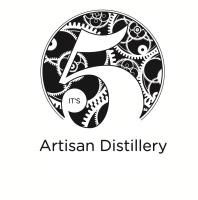 Welcome to It's 5 Artisan Distillery. We make our products by hand, using locally grown fruit and grain. Our goal is to create spirits of exceptional quality which capture the very essence of the fruit and grain that we use. Please be sure to stop in at our tasting room for a sample of the fine spirits we make. We look forward to meeting you!